Yamaha’s first twin-engine jet boat, the Exciter, showed up in the mid-nineties and set the stage for their roster of jet powered sport boats available today. 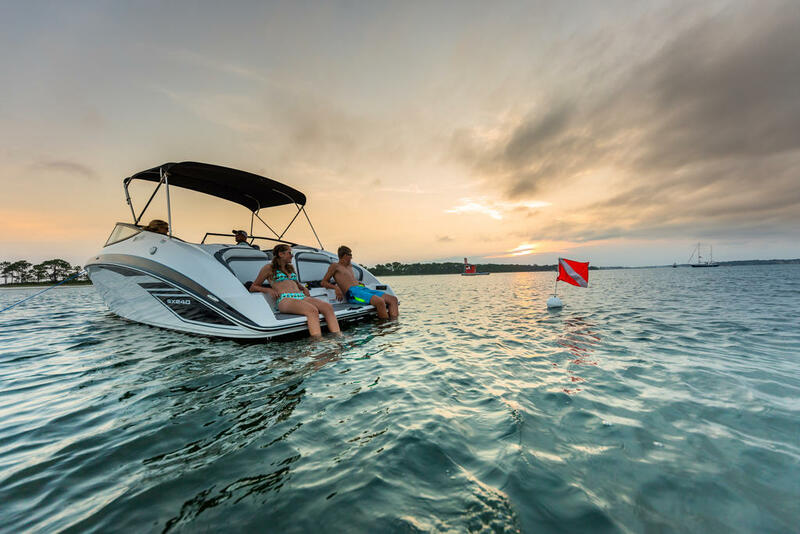 For 2018, Yamaha expands on that with the new twin engine 210 FSH. 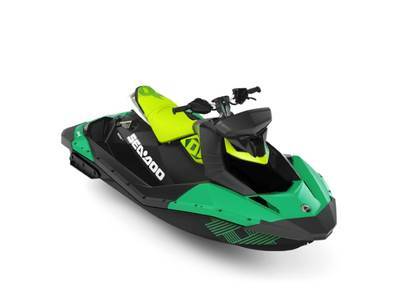 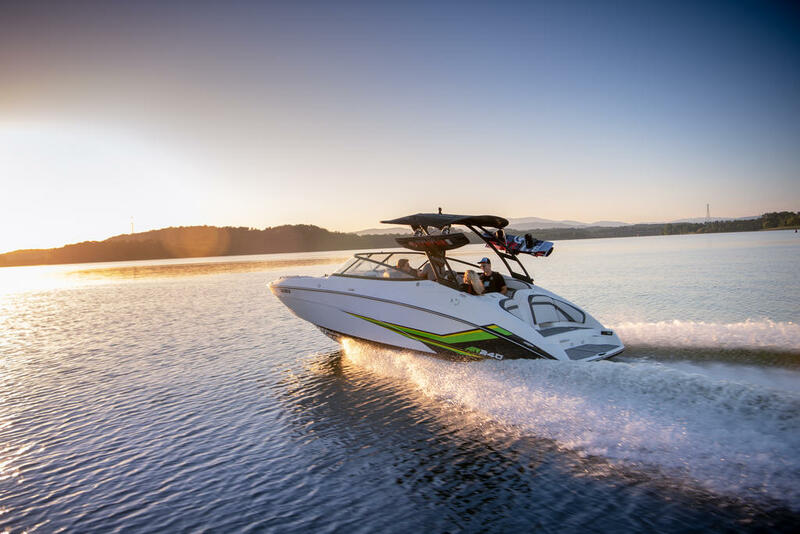 This boat defines fun with the safety and shallow water capability of jet power. 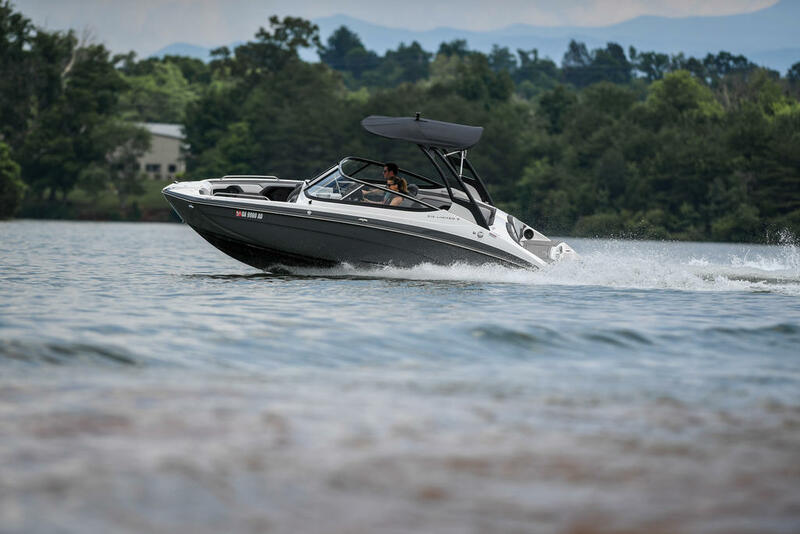 Yamaha’s “No Wake Mode” and “Cruise Assist” make the 210 easy to drive, especially in rough conditions where throttle control can be difficult. 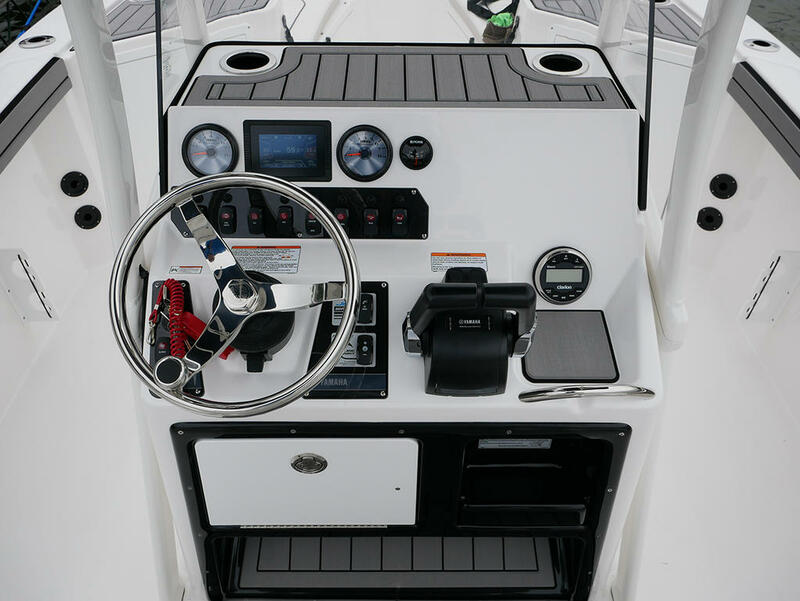 With the push of a button you can set cruise speed and increase or decrease throttle input in 100 rpm increments. 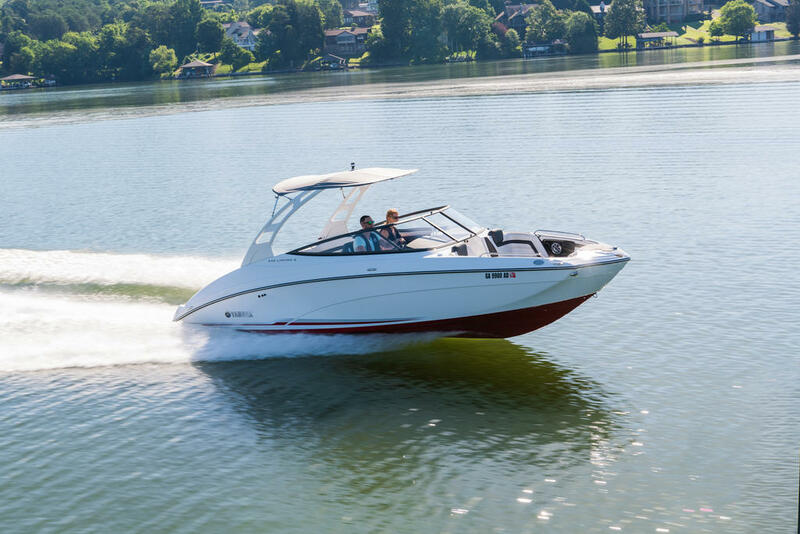 Combining quick steering with vectored thrust from the twin high pressure pumps and the 20-degree sport boat hull, means this boat can accelerate and turn in just about its own length. 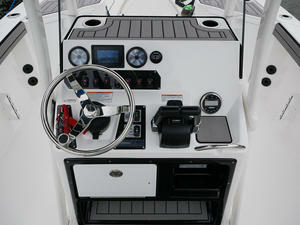 Instead of trimming down the engine before making a turn, you can crank the wheel and then fire the throttles. 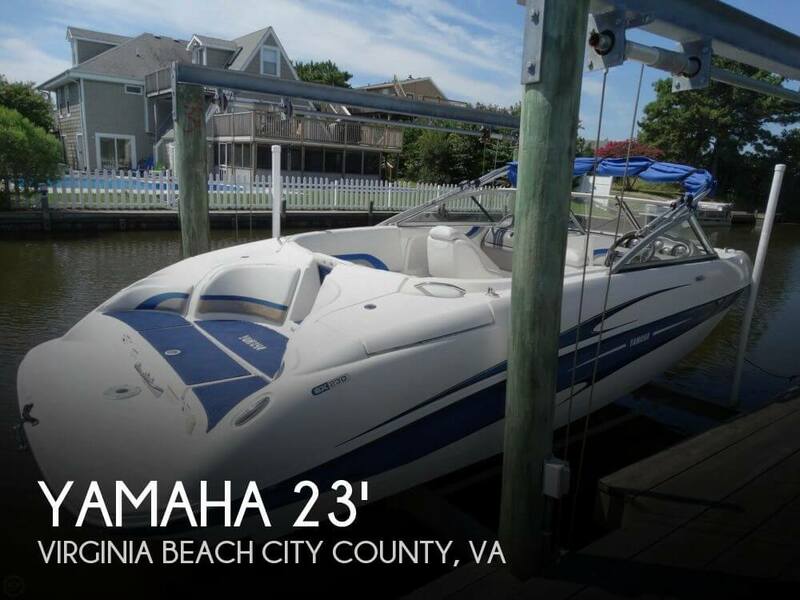 There’s no slipping or prop ventilation, the boat just turns. 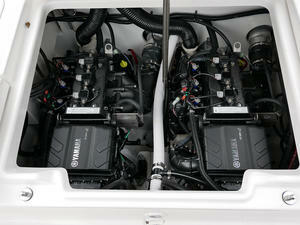 Try that with an outboard! This Sport model comes standard with a removable T-top, 12 rod holders plus dedicated storage for 10 rods, an 18-gallon aerated livewell, a custom trolling motor mount, powder coated tow rails and 20mm SeaDek EVA foam gunwale pads. 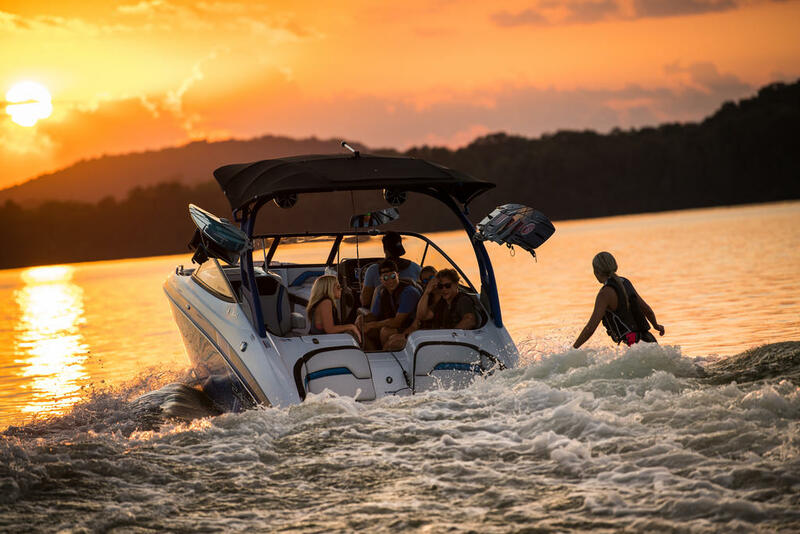 The wide console seat backrest pivots forward to convert to a fishing platform and every solid surface you can stand on is either covered in non-skid or SeaDek EVA foam. 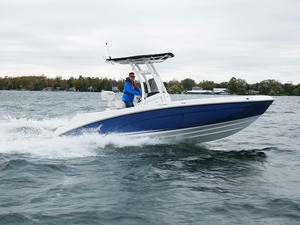 This has to be one of the most versatile boats I’ve driven. 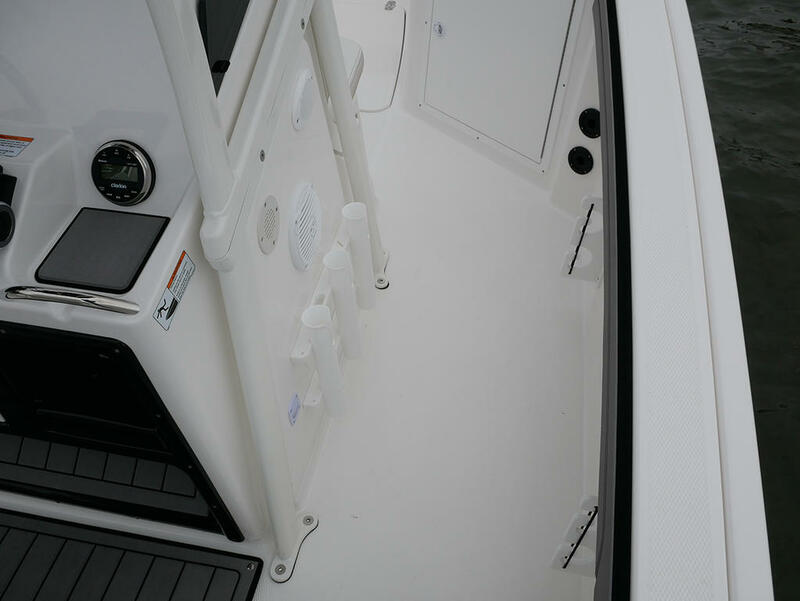 There are over two thousand litres of storage space with locking storage in the centre console, a changing curtain and a cooler under the helm seat. 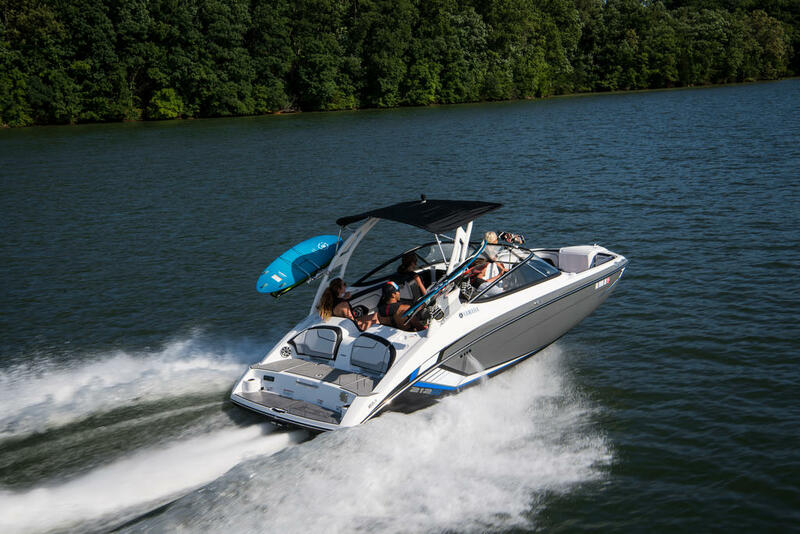 The full-beam swim platform is something you won’t find on an outboard powered boat. 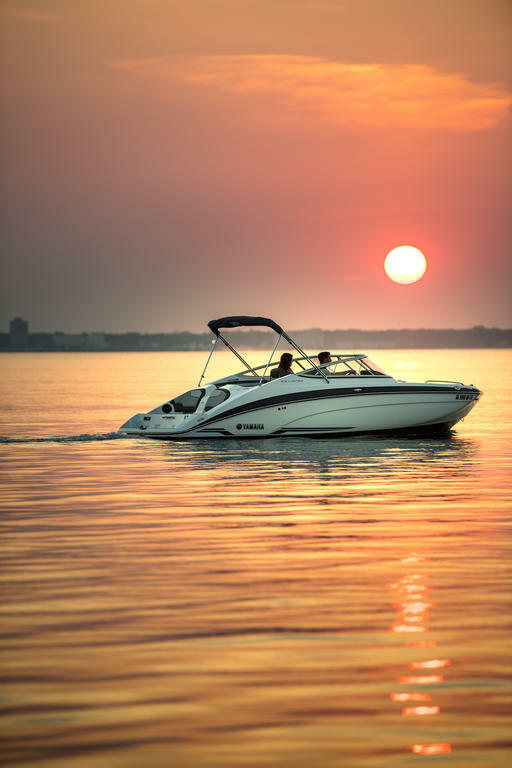 It’s stepped, has cushioned backrests for comfort and is low to the water for easy re-boarding. 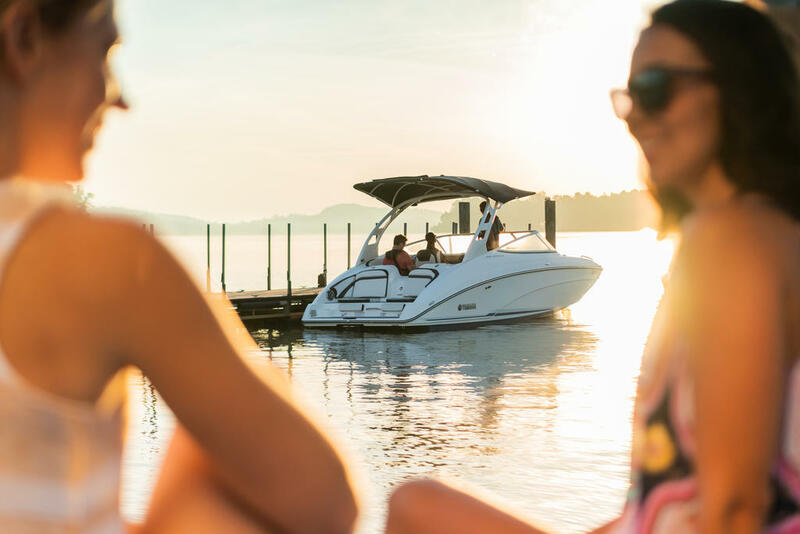 On top of that, every Yamaha jet boat includes a custom trailer, so you can hop from lake to lake without any added expense.